I'm rapidly coming to the conclusion that reading reviews and listening to other people's opinions of any superhero film will detract from your enjoyment of the film, rather than enhance it. Too often the loudest voices are those who wish to vent that a film isn't their version of the character or even the version of a character they've read about for years in the comic book source material. As such they denounce the entire film as nothing short of an abomination. If you actually enjoyed the film, too many of these types of rants can really make you wonder if you even watched the same film as they did. I get that, particularly with a character like Superman, everyone has their own expectations of what the character is, what he's capable of and what moral standards guide him but lighten up. If Man of Steel isn't your Superman, that's fine. Maybe in your opinion the film makers got it wrong but one thing is certain, the film makers hoped you'd like it. They didn't set out to to personally offend you. By all means criticize and discuss what didn't work for you and why but don't be a baby about it. Yes there are details that should be discussed and worthy of debate but overall Man of Steel delivers a thoughtful interpretation of the character. Personally I think Man of Steel is the best depiction of a Superhero character on the big screen since Iron Man. 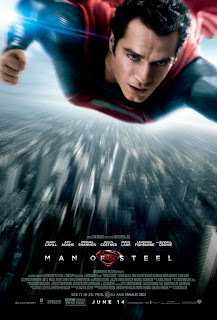 It's not a perfect film by any means but in terms of an epic cinema experience, and creating a Superman that I can believe could exist in our real world, I think it succeeds. I went into Man of Steel with a very cynical attitude. My first thoughts on seeing Krypton, and particularly it's wildlife was that it looked like the grunge version of Pandora from Avatar - mostly thanks to whatever that creature was that Jor-El was riding. Then we saw all the babies being incubated and my head went straight to The Matrix. 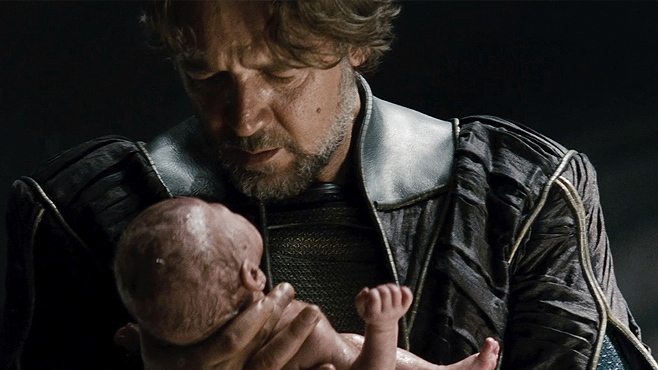 I also raised an eyebrow at Jor-El being the only one to assist with the delivery of his own child? Advanced culture and all that (don't they have doctors etc.) but this was explained a short time later as natural child birth being a definite exception to the norm and implied that it may even be illegal. However the new technology of Krypton with the almost liquid-like monitor screens on Jor-El's robot assistants grabbed my attention as something I hadn't seen before. This helped draw me in, along with a story that did gain momentum very quickly. I liked Russel Crowe's Jor-El. Much less enigmatic than Marlon Brando's and much more committed to ensuring his son's survival. It was a little bit of a stretch that a scientist was also an action hero but no one ever calls Tony Stark out on his ability to fight, even though he's mostly an engineering genius. As much as I liked Terrance Stamp's General Zod, Michael Shannon's Zod in Man of Steel has a much more defined purpose and reason for tracking down Kal-El. The fact that Zod also agrees with Jor-El's point of view on the state of Krypton is a high point too. They just have different ideas for a solution. The Codex, that Jor-El steals, is a little like the Tesseract in The Avengers. We know it contains the blue print for the Kryptonian's DNA but how it works and why something that looks like a burnt out skull is so unique is unclear. Couldn't they just get another Kryptonian's skull? What makes this skull so special and how is it possible that it could become fused somehow with Kal-El himself so that it needed to be 'extracted'? Alien technology is mysterious like that. I'm not going to go through the film and mention every little detail. What was important to me was that, for Superman's origin story, it pretty much had all the same key moments as 1978's Superman the Movie. Though they were fleshed out much more, and tweaked in some cases, to better serve this new Superman's need to be cautious with revealing himself before the world is ready. I particularly like the angle that Jonathon Kent (Kevin Kostner) highlights for Clarke that "you are the answer to, are we alone in the universe?" 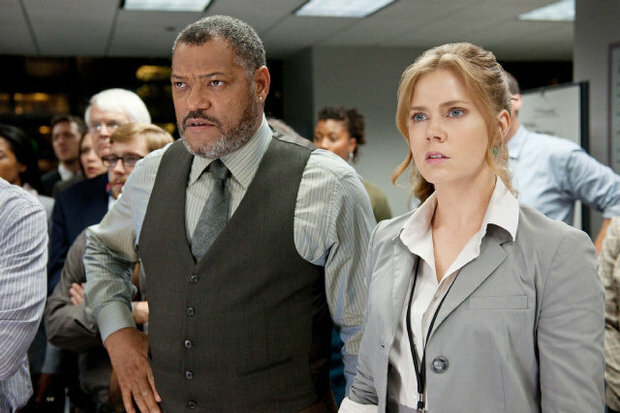 Perry White & Lois Lane. I liked that Lois Lane (Amy Adams), for the first time actually felt like a real, globe trotting journalist and not just a reporter. (I'm also one of the few who think Margot Kidder was miscast and is the most unlikable Louis Lane on film). You actually get to see this Lois' process of tracking down a story. A big story that required a fair amount of investigation. The only other thing that's really important to me in a Superman film is how his power and abilities are handled. To date, every previous Superman film has forgotten that, whilst Superman is incredibly strong and seemingly indestructible, the rest of the world is still subject to the laws of physics. In my post The Trouble with Superman I wrote how mishandling his powers can really take you out of the film. Thankfully, Henry Cavill's Superman never obviously breaks the laws of physics when interacting with his environment. Most notably demonstrated in the scene where he tries to stop an oil rig tower from falling. He's strong enough to delay the fall but ultimately the tower structure still fails and falls into the platform. All of Superman's powers seemed to be handled really well with a fresh take. From how he flies to his super speed, strength, x-ray and heat vision. 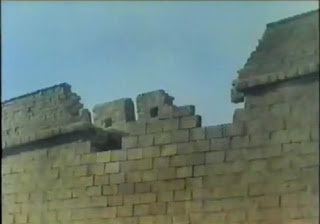 No wacky made up or unexpected powers either - like rebuilding walls with some kind of mind control in Superman IV. The only thing that took me out of the film was Superman breaking General Zod's neck. Not because of any stupid idea that Superman doesn't kill. Though this idea may be cemented into the sequel. In this movie, it's Superman's first official day on the job and he's fighting someone hell bent on continuing the carnage indefinitely. I can give him a pass this time. Why the neck breaking thing took me out was because, if Superman can break Zod's neck with his bare hands, then why can't he break his neck by throwing concrete blocks at Zod's head etc. Or why can't Zod break Superman's arm by snapping it over his own leg perhaps? These two are supposed to be indestructible under Earth's yellow sun. Just because they're both Kryptonian it doesn't necessarily follow that they are strong enough to damage each other. That aside I don't have a problem with Superman killing if that seems to be his only option at the time. I also don't have a problem with a Superman that makes mistakes and doesn't always make the right choices. Like it or not he's more human than alien and even Jonathon and Martha Kent made mistakes. Superman for me has never been about an ideal to strive for or aspire too. He may be a great protector but he's not a savior of the human race. He's not Jesus, or a God - no matter how many parallels are made to our own religious iconography. He's an immigrant from another planet, who's chosen a path for himself that enables him to put his abilities to good use for the benefit of others. 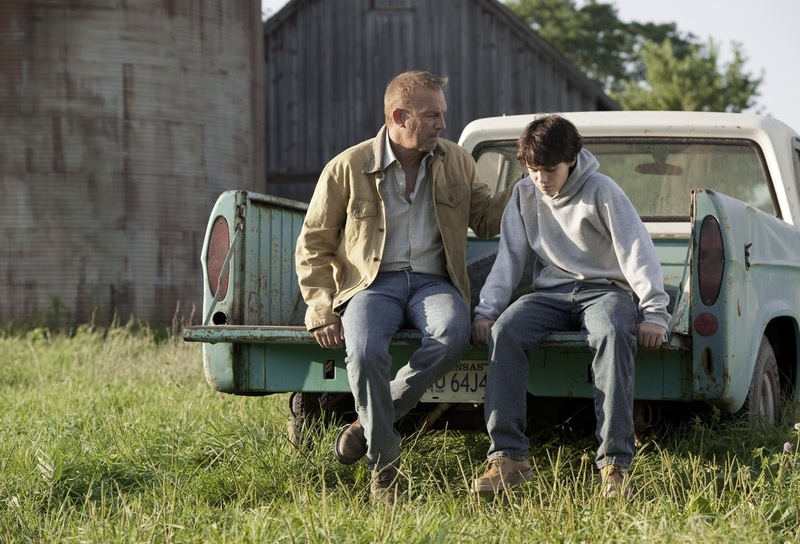 It fits with the ideals and values taught to him by Jonathon and Martha Kent. He was sent to Earth with the purpose of preserving the Kryptonian race and perhaps bringing two races together in harmony. A task which he fails to fully achieve in this film thanks to Zod throwing a spanner in the works. At best he manages to achieve one Kryptonian living in peace with the human race on Earth. 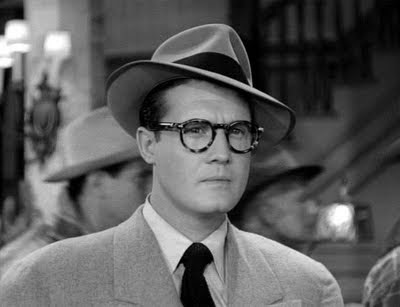 George Reeves as Clark Kent. As with Batman, I'm not married to Superman's history. I've enjoyed the quietly confident Clark Kent of the George Reeves TV series and the Bumbling comedy of Christopher Reeve's Kent. There's enough in this film for me to know it is Superman and it will be interesting to see how the changes will inform future films. For example, just how many people at the Daily Planet will see through Kent's deceptively simple disguise. Does Perry White know? What will the dynamic be between Lois and Clark whilst at the Daily Planet given she knows Clark is Superman? Mixing things up provides new dynamics to explore. To me that's a good thing. When you have a character as old as Superman, you don't want to keep exploring the same tired relationships time after time between the main cast of supporting characters. I'll leave my final words on the fight scenes within Smallville and Metropolis, particularly Metropolis, which reminded me a lot of similar fight scenes in the Superman Doomsday animated feature. Superman fights Doomsday in an epic battle in Metropolis and, unlike Man of Steel, the city hasn't made any attempt to be evacuated. Incidentally Superman kills Doomsday in both the movie and the comic it's derived from (though it does show Doomsday survives in the comic but as far as Superman knows he killed him). It would not surprise me if the scenes of Superman and General Zod fighting in Man of Steel were inspired by Superman Doomsday. Although I thought the final fight scene possibly went a little too long (just like they do in Superman Doomsday) ultimately I thought, it's about time! Superman being part of a proper fight and fighting back with everything he has. I enjoyed this film and will not only be buying it on Blu-ray but will be looking forward to its sequel - and hopefully a Justice League movie sometime within my lifetime please.